Retelling classic stories has long been a recipe for success. Fairy tales have been the fodder for many a fantasy novel, and the adding of vampires to classic literature has become something of a mainstay in teen fiction as of late. 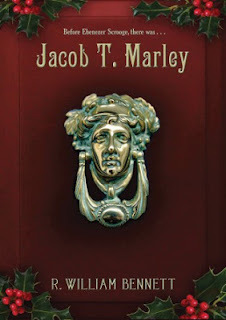 Jacob T Marley by R William Bennett, doesn't rely on any of these recent tricks. More of a companion to Charles Dickens' A Christmas Carol than a sequel or a retelling, it picks up the story of a side character from the original and lets him tell his own tale. Most people only know Jacob Marley as the character played by Goofy in the Disney adaptation of the story. But Marley had his own life, full of decisions that landed him in the chains that Scrooge eventually sees him in. This is Marley's story, and we see how both he and Scrooge became the men we know so well today. It would be easy to say that Marley had a hard life, as many did in Victorian London. Perhaps his father was a drunkard, or he was raised by a cruel uncle, and never learned kindness as a child. Perhaps he grew up hungry and cold, attending school on charity money or not at all, and grew stingy out of a real sense of past desperation. Perhaps he had been burned, time and time again, by dishonest employees and thieving tenants, and he learned to harden his heart to their pleas by necessity. Nothing could be further from the truth. 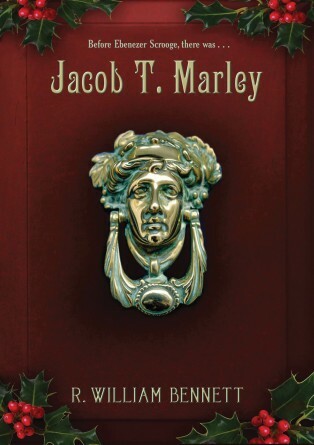 Jacob Theloneous Marley grew up the youngest son of a loving, well-off family in London. He was given the middle name of Theloneous after his grandfather, who sacrificed his life saving children from a fire. As a youngster, he was proud to carry the name of such a hero. But pride can have its drawbacks as well. As he grew older, he learned that he was good with numbers. He eventually ended up running his won counting-house, but leaving behind a much different legacy than his grandfather. As his attitude towards others changed, so did his signature, eventually leaving his middle name out altogether. Ebenezer Scrooge came into Marley's life later, as a partner at what became known as Scrooge & Marley. While Scrooge already had the beginnings of a personality that would fit well with what Marley had become, he also learned some of his more hard-hearted traits from Marley. But on his deathbed, Marley realized the error of his ways and truly repented before taking his last breath, though no mortal would be able to understand his last words. The angels heard, though, and that's what mattered. The chains he wore, decorated with his beloved lockboxes and keys are his own out of a true desire to save Scrooge from his own fate. Even though we know the outcome for Scrooge, and are familiar with his triumphant realization on Christmas Morning that it's never to late to change your life, Bennett manages to keep up a level of suspense that is truly impressive. It's hard to work within the confines of such a well-known and beloved tale, but he creates a new tale of redemption that both stands on its own and adds to the original story. When the cold of winter and the false cheer of the season starts to drag, this is the perfect book to remind you that the holidays can be about more than presents after all. Highs: Nothing in this world is truly a coincidence, and the ring and the necklace in their desks prove it. Lows: If you're a sucker for Hallmark commercials and the like, don't read the ending in public. Verdict: A perfect pre-Christmas gift to get people into the true spirit of Christmas.